At least along the East Coast we are starting to have some real good weather days. But it is a typical spring with temps all over the board the emphasis needs to be “starting to have good weather”. Springtime does however provide us with more play time with longer days, more energy because we are no longer cooped up inside and more motivation to spring into action since we are therefore generally less encumbered. It seems like more people have hobbies and passions outside of work these days. The roads are thick with runners and bikers of all ages. 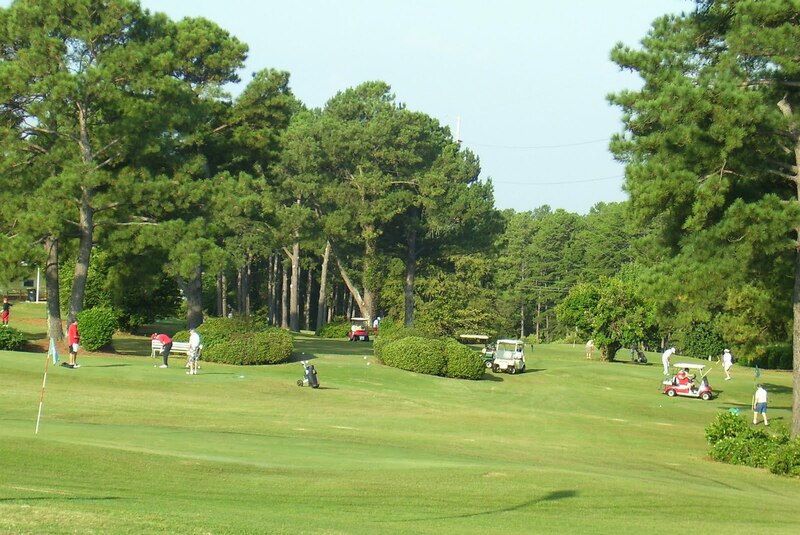 Golfers are already hitting the links. Gardens are being tilled and turned over. Motorcycle men and woman are out in force. The Boomers in particular seem to have a multitude of hobbies they currently enjoy and to look forward to in retirement. We don’t just work to live anymore, we work to live and play and we want the time and money to do it. Given the economic times, many people have had to rethink when and where they can retire. Investments have lost ground, savings have been reduced, and that means we may have to work longer than originally planned. If that is the case, why not adapt a strategy that will make us more fully enjoy the prime of life? Time and money are important to a happy retirement. And while one can argue that more money could make life much easier, perhaps having time is at least just as important. Besides our jobs and our dependents, our homes consume a significant amount of our time, funds and energy. Are we slaving away to pay for a current home and lifestyle that doesn’t allow us to save for our future? Does working to make mortgage payments or other housing expenses make more sense than to save for our future so we don’t have to work for the rest of our lives? Does the amount of time, funds and energy we spend on our current home and yard equate to the amount of satisfaction and enjoyment received from it? If the answer is yes, stay put and enjoy your home! But if the answer is no, then downsizing your home and yard can be a big step towards a better lifestyle you really want. So what is holding you back from doing the things you really want to be doing? Take control of your life and spring into action this spring. Make changes that will give you more time for your passions and more discretionary income to enjoy them. At Jensen communities® we can help you make beneficial changes. 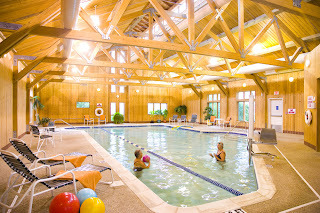 Check us out at www.jensencommunities.com or call 800-458-6832. This morning, while preparing my breakfast, a segment came on the morning show that I typically watch, that really got me thinking. The discussion was all about how “You’re only as old as you feel,” how “age is just a number”….and “a state of mind,” and how really believing that you’re still young and that you still have all of the physical and mental capabilities of youth, can make anything in your elder years possible. The idea from the segment itself wasn’t anything new, but now at this point in my life, it seems to be even more relevant than ever. While many people might disagree, arguing that there are physical limitations to getting older, I am a firm believer that there really is incredible value in “not acting your age”. Going out and engaging in activities that you’d might typically have been involved in your teens, twenties and thirties, can truly allow you to live a healthy, fulfilled retirement life. The proof in all of this is clear. I genuinely feel the difference when I’ve been inside all day - inactive, lethargic. I forget where I put things. I feel weak and tired. I feel…well, old. But when I get myself out - take a walk with a neighbor around the neighborhood or participate in a group spinning class, it’s as if I’m given back my twenty year old body and mind again. I’m sharp - thinking faster, clearer. I’m quick to remember things, in a better mood, and I have a ton more energy. My 60-year old brain and muscles are flooding with liveliness, and every moment I walk into brings on a whole new clarity and possibility. The difference between my older, inactive self and my youthful, active self is truly remarkable. The reality is, life isn’t over when you reach 55- it gets even better. Now, in retirement- we can still participate in the activities we’ve always loved- and actually have the time to really enjoy them! So, stay young. Stay strong. Stay happy, healthy and fulfilled …and whatever you do, DON’T ACT YOUR AGE! While procrastinating is always an option, why wait until you have to? Moving can be a stressful period with so much to think about. Preparing a home to sell, including sorting out and de-cluttering, making the necessary repairs, and staging your current property, takes thought, time, energy and money. But the more thought and action you put into it, the less stressful it will be. And done right, it doesn’t have to break the bank. Especially if you have years of accumulation and memories in the family home, you need to get into the right mindset. Barbara Sperry, owner of Relocation Strategies, has helped o coach home sellers into thinking about their “current property” as a piece of real estate and to think of the property they will be moving into as their “new home”. Being more objective and rational will help you deal with the inevitable cold hard facts in today’s real estate market. And being realistic means a quicker sale at a higher price. Certain home repairs will help prospective buyers to view your home as their own. The key is to complete repairs that will help show your home but not complete repairs that will not provide a return on your investment. A professional home “stager” or real estate agent can help decide what repairs are truly needed. This may change the decorating in your home, but will help broaden its appeal to more buyers. The last step in preparing your home to sell is to arrange your furniture, artwork and nick knacks in a manner that best shows off each room. A professional can either offer you a few hours consulting advice or complete the entire task (including providing furniture). 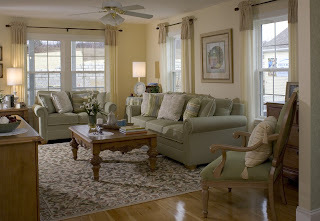 You may need to store furniture that is over bearing or simply too much for a given room. The end result should be a home that a buyer can walk through easily and picture how they would live in it. Usually preparing to buy is (and should be) the fun part. It is exciting to look and research a new place to live especially with all the information that can be found on the Web. But do your homework as well. You want to ask good questions and compare your alternatives carefully. Really consider the long term impacts of your choice. Most people tell us they want their move to a retirement community to be their last big move! At Jensen communities we stand ready to help coach and guide you through the selling and buying process. So be proactive in your approach and preparations! 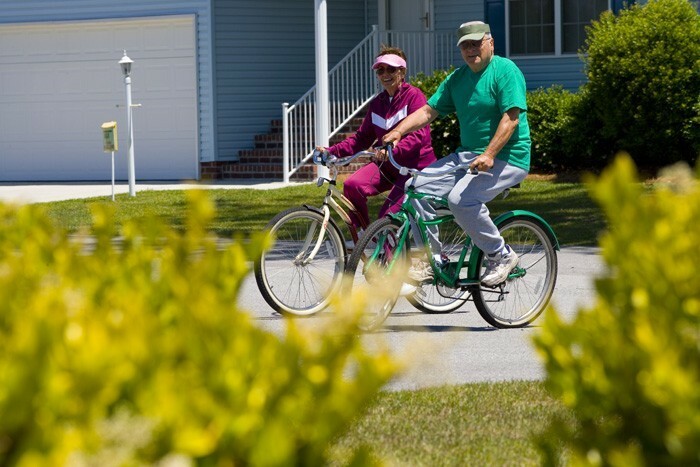 We look forward to helping you “Get in on the Good Life!” ® in a Jensen community. Please see us at www.jensencommunities.com or call 800-458-6832. 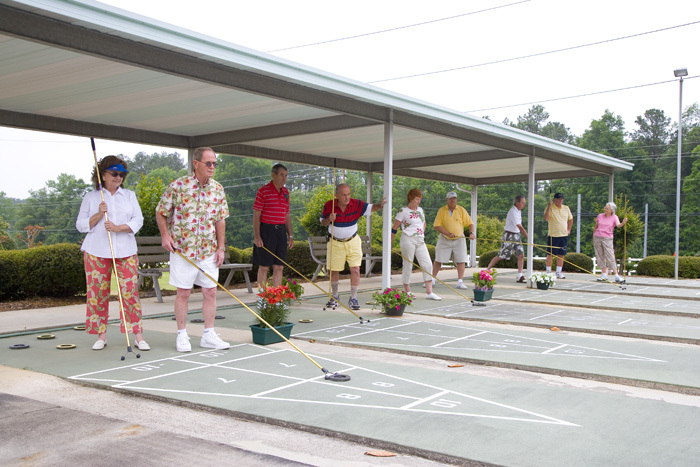 Walk, run, and shuffleboard your way…to a happier, healthier you! It sure has been a long, snowy winter out here in the northeast, but alas…the temperatures have started their upward crawl. The first signs of spring are upon us - the birds are chirping, the extra hour of sunlight is shining down - and finally…it’s that time of year again to get out and get active! At Jensen’s we know you’ve got big plans for the next decade of your life and have one and only body to get you through all of those exciting activities. Especially in the years ahead, your happiness and health in retirement is key to staying active- so you can reduce stress, maintain a sharp mind and keep those muscles, joints and bones in top-notch shape. Knowing the importance of a healthy lifestyle for our residents (and really anyone 55 and over), we went ahead and compiled a list of fun activities for every interest-type. Not only will these ideas get you moving, but participating in any of them will have you making new friends around your community, spending more time with your family, and truly feeling like a kid on a playground! No matter what kind of activity makes you tick, the important thing is that you’re keeping your body moving- in whatever way you can. Remember, before embarking on your next surfing adventure though- or any physical activity that is- consult with your doctor about your plans. That way, you can both determine your physical capacity and shape your plans around what’s reasonable for you. Now, go on! Shake off the winter and head outside. Breathe in the sweet, fresh air. Energize your mind and body. 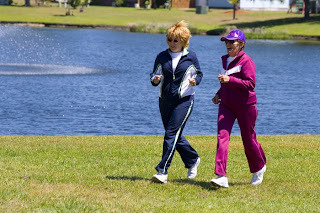 Get your blood flowing, get back into the game – and enjoy a happy, healthy retirement!